Attracting potential backers and convincing them to pledge a game is a tough task. There are many different factors which we have to consider when preparing a marketing strategy so our game can be funded - in the best scenario in first 24 hours. Retailers can significantly help us to achieve that goal. It's important to remember about them when creating our pledge levels and overall strategy! James Hudson from Druid City Games asked Dave Salisbury (owner of Fan Boy Three store) what he wanted to see in a Kickstarter Retail Pledge Level. Here is his response. As a UK based games store I usually enjoy a 35% margin on most single games I order rising to 45% for case quantity. Buying in the UK I would usually get that carriage paid. That is exclusive of sales tax - Value Added Tax or VAT, at 20% - which I have to put on every product at the point of sale included in the MSRP. So for a game that retailed at £40, I would be paying around £21.50 for a single copy or £19.50 for case quantity. As you can see, a quick rule of thumb for me is my buy price including shipping is around 50% of my final sell price. Including shipping. Shipping can be tricky transatlantic. The more exclusive your product is, the less likely I am to see it deep discounted on release. This is a pretty big one for me - I retail backed KDM because it wasn't going to go into distribution on a 20% margin because I know that margin won't be eroded immediately on release. Now, that is not to say that I won't back your game if you are planning to put it into distribution. That is win-win for me because, in theory, I'll be able to order ones and twos through regular channels once the game comes out. But what I do not want is the distribution to be selling me a better deal before you ship me the copies I have already paid for. That happens more than I would like. Like any other Kickstarter backer, I want my product first. Because I want you to think of me as a valued partner. If you are kickstarting a game, I want it to be a success. I want you to make money selling your game, and I want to make money selling your game. One and run? I'm less interested in doing business with you. I want to meet up with you at the GAMA Trade Show or GenCon; I want to stock your next game and your expansions and see you grow into a Fortune 500 company. The thing is about companies like Fantasy Flight, is that they all started somewhere. They were quite literally like you once. And I was there when they were. This is what you buy into when you enter the gaming industry as a professional; you become part of a network of stores, distributors, artists, writers, designers, publishers and fans who are all there for one another and who understand the needs of the other parts of the supply chain. If I am backing your product, I don't expect to be palmed off with an inferior copy. Stores like mine, like demo copies. Slap demo copy on it and massively discount it for me alongside my regular KS. I need to be able to reorder your game when I sell out. I am happy for distribution to take their cut - I understand it will be bigger than my margin, but that's fine so long as you treat us all with respect. If you offer your game at a discount to Kickstarter backers, I expect you to indicate the full MSRP of the final release on your KS. Otherwise, people think that your $40 game is a $40 game when maybe you didn't factor in everybody else's margin or tax, and it was really a $60 game. If it becomes a harder sell for stores post campaign, we won't forget. We can't. Just like you, if we get our maths wrong too many times we go spectacularly out of business. - Know that I would have it before it came through the general channel. Thank you very much, James and Dave, for such valuable insights! 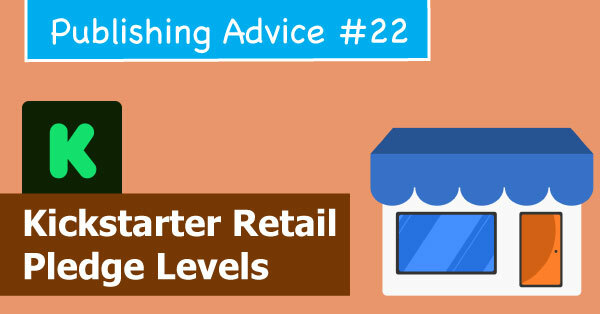 Do you add Retail Pledge Levels in your KS campaigns? If you are a retailer, what makes you back a project?